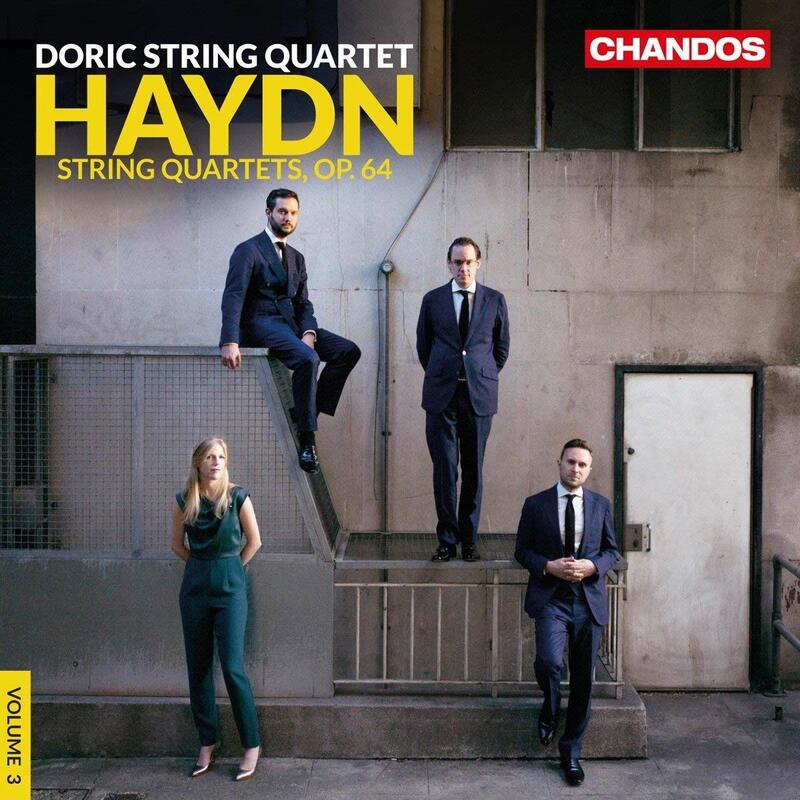 The Doric String Quartet has a great affinity for Haydn. The crack British outfit has already released two sets – the Op. 20 and Op. 76, both of which were nominated for Limelight recordings of the year – and their live performances of Haydn at the Wigmore Hall have almost a cult following. Tasteful and judicious use of vibrato gives these performances the sinewy gut string feel of the likes of the Mosaïques and London Haydn Quartet but with an added edge. The six quartets in the Op. 64 set were composed in 1790 for public performance. Haydn’s employer Prince Nikolaus Esterházy had died that year and the composer was off to London, where three of the set were performed at Hanover Square. As always Haydn gives us a seemingly bottomless well of elegant invention, melodies, foot-stomping dances and moments of drama and stunning wit. The Dorics are alive to everything and there’s a sense of adventure in the playing of leader Alex Redington and his colleagues violinist Jonathan Stone, violist Hélène Clément and cellist John Myerscough – witness the almost gypsy-like elan of the violin solo in the second movement of the Sixth Quartet. Haydn’s wit is not lost on them either with their delicious sliding figures and whistling effects in the minuet which follows. The quartet is barely out of the recording studio these days and Clement says they rehearse exhaustively beforehand so as to produce a “live” performance feel. It certainly works.